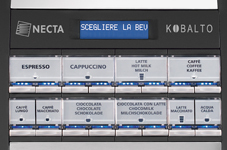 Combining excellent performance with great flexibility, Kobalto creates a wide variety of drink selections simply and efficiently including authentic Italian espressos, rich creamy chocolate and light frothy cappuccinos. 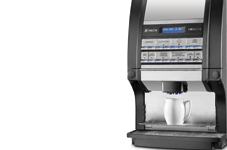 Available in several versions with a wide range of products and innovative technology, this machine can create professional drinks using a range of ingredients to suit a variety of tastes. 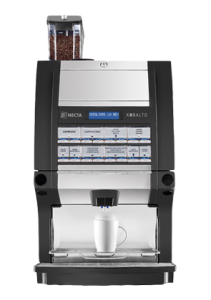 With its intuitive user interface, Kobalto is an extremely user-friendly machine, whether placed behind the bar for staff or in self-service mode for customer use. This sturdy built machine is extremely versatile with a choice of accessories and a high capacity of product canisters ideally suited to meet all the requirements of the Out-of-Home market. Modern Italian style, combined with simple user interface make it a wide-ranging machine with broad appeal that can be easily positioned in any location. 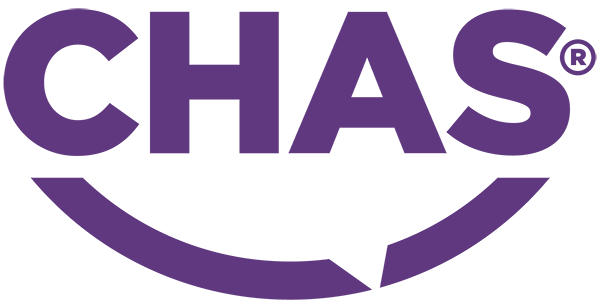 Easily customised using a wide range of ingredients: coffee beans, soluble coffee, powdered milk, chocolate & tea etc.